This is the arrangement to choose when you experience Endless Love. 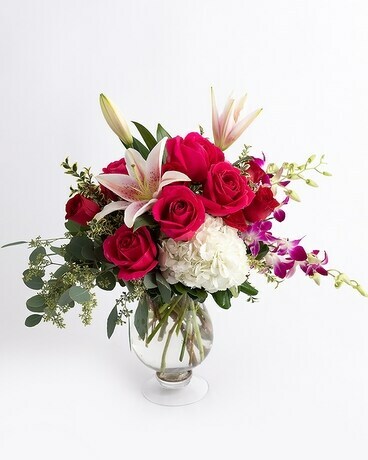 This lavish arrangement of Roses, Orchids, Star Gazer Lilies, Seeded Eucalyptus, Hydrangea premium greens is designed in a full, sweeping design and comes delivered in a beautiful glass vase. The Endless Love arrangement will add a touch of elegance and grace to any space.